Directed by leading Dallas-Fort Worth real estate agent Tommy Pistana, The Pistana Group has quickly made an impact on the local market. Having been recognized by numerous publications as one of the top real estate teams across the US. This diverse group of hard-working individuals focus directly on setting their clients apart with “out of the box” marketing and an unmatched work ethic providing a next level customer experience no matter what price point. 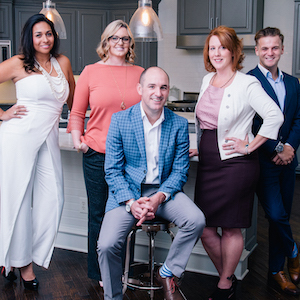 Recently, The Pistana Group was selected to take part in The American Dream TV, a nationally televised show, allowing the team to showcase and market their client homes across the country. Media marketing is just one of many ways Tommy and his team have been able to seperate themselves from others and provide an experience that most buyer and seller agents cannot achieve. Now joining forces with Compass, one of the fastest-growing real estate firms in the world, The Pistana Group has access to a network of elite agents across the nation with offices is every major market. Combined with Compass’ leading technology platform giving The Pistana Group a head start on the future of real estate.